I would like to thank you so much for your support of Equinox Theatre Company, “Bat Boy,” and of live theatre in Colorado. We at Equinox have been dealing with a very difficult situation, and it is through the support of our community that we’ve been able to push through the difficulties and see the light at the end of the tunnel. I would like to take a moment to tell you a little about what occurred and about what the future holds for our production. 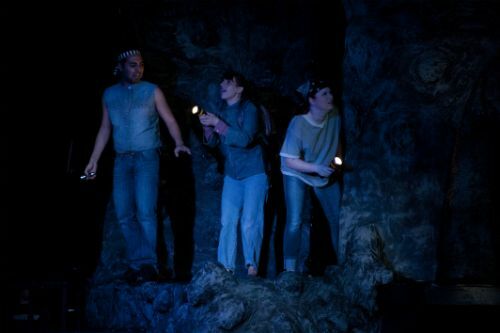 “Bat Boy” opened on February 15 to rave reviews and sold out houses. Craig Williamson from the North Denver Tribune offered, “First and foremost, Bat Boy goes for fun. 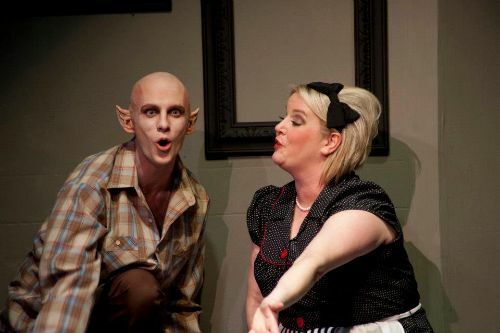 It is campy and silly, and entertaining to watch.” and Patrick Dorn, the Playwright Priest Critic exclaimed, “Bat Boy: the Musical” is goofy, sincere, raunchy and wildly entertaining.” After our initial opening weekend, we learned that our actor playing the title role of Bat Boy, Adam Perkes, passed away a few days later. 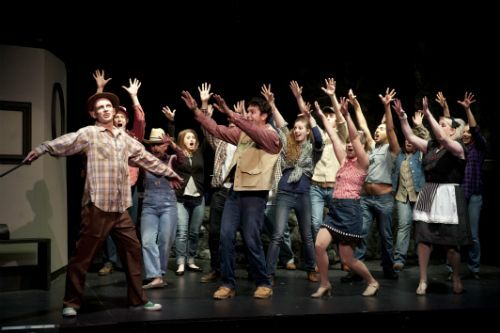 CultureWest Theatre journalist John Moore wrote a beautiful tribute to Adam Perkes, and we encourage you to read the article here. 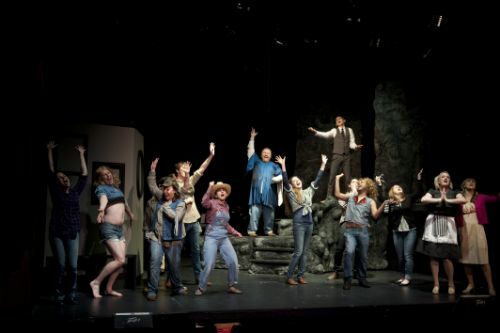 After a short period of reflection, the cast and crew of “Bat Boy” decided to pay tribute to Adam Perkes and the show successfully re-opened on March 8, 2013. 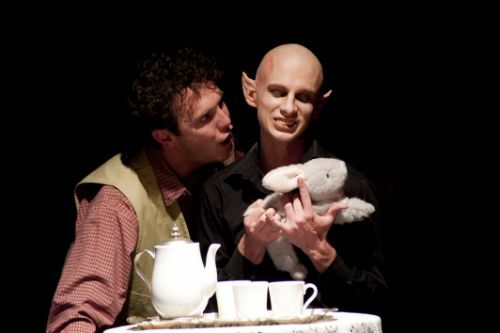 It was made possible through the amazing support from acclaimed award-winning actor, director and choreographer Nick Sugar, who stepped into the role of Bat Boy. Sugar won multiple awards for his portrayal of the character back in 2004, and he recently directed the show at the Town Hall Arts Center as well. John Moore has also provided an in-depth article that eloquently explains the impact of this amazing tribute, you can read it here. I would like to personally thank each and every one of you that made it out to see this production. Whether you saw Adam Perkes in the role on opening weekend or if you saw one of the four re-mounted performances with Nick Sugar. 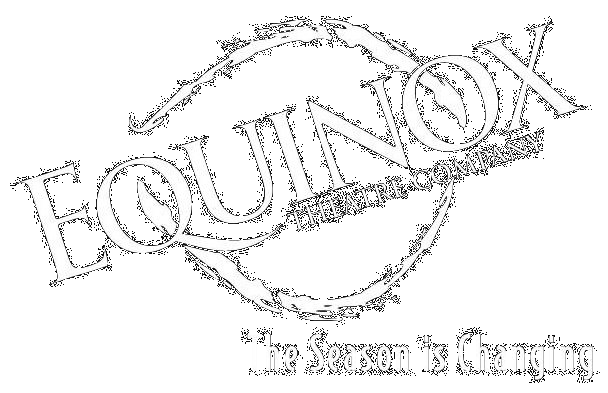 Thank you for taking the time to support our amazing cast and crew, and thank you for your continued support of Equinox Theatre. 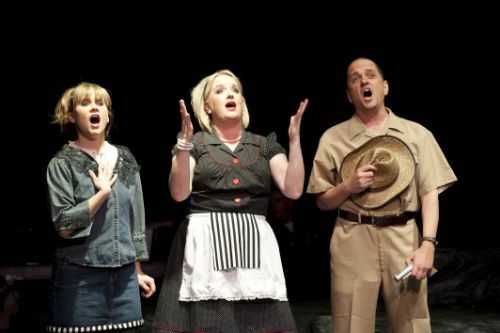 All performances of “Bat Boy” were dedicated to Adam. He will never be forgotten, and he will live on in our hearts and memories forever. Thank you for supporting live theatre in Denver!